THE BEST AUTO REPAIR IN MAPLE VALLEY! Automotive Experts of Maple Valley Offers Auto Repair Services You Can Count On! Automotive Experts of Maple Valley has been providing customers in the Maple Valley, WA 98038 area with high-quality automotive maintenance and repair services since 2009. Our experienced mechanics will get your vehicle up and running again, and we'll keep it in top operating condition. To learn more about our services, call us at 425-432-7767 or email us today. We're looking forward to earning your trust as a friendly, honest and reliable alternative for your auto maintenance and repair needs in Maple Valley. Absolute best place to take your car! I took my sons car in for brakes, rotors etc. Not only is the customer service great they beat another estimate by $150. They even gave me a tip on how to fix something else that needed fixing. Cant imagine taking my car anywhere else. This is a great local auto repair shop in the Maple Valley, Kent-Covington, and Issaquah, WA. Very happy when I take any one of my vehicles there. They have done lots of work on my S-10, our Toyota Mini Van, my Toyota Prius and also our old Willys Jeep. Feel confident in this local shop! I always feel like I can trust you guys to be honest with me, and the work is always done quickly and with quality, for a fair price. Since the first time I came there and thought I had something more expensive wrong with my car, and you could have sold me that fix, but instead made the much less expensive fix. You really earned our business. Thanks! I took my high mileage 2005 Toyota Corolla in for a "transmission knock". 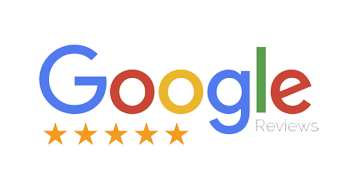 I received a very comprehensive diagnosis and the service rep was very knowledgeable about my situation and more than willing to provide me with advice about making the repairs or start looking for another vehicle. I would use this repair shop again. We've taken our car here several times. Customer service, honesty, and work is excellent. When they replaced our CV joints and the part turned out to be bad, they replaced it at no cost. Great honest local shop. Fast and reasonably priced service. Highly recommended. From the minute I called to make an appointment, throughout the entire process, Ira and the technicians at Automotive Experts of Maple Valley were wonderful. Ira was so friendly and courteous and he answered all of my questions and was very helpful. I dropped my Mazda MPV off in the morning to have the AC checked and by that afternoon it had been inspected and serviced and was ready for me to pick up. Ira called me after the inspection to let me know what the problem was and to tell me how much it would cost to fix it and when I picked it up later that day the price quoted was the price I paid. Van AC is colder than ever and the service was fantastic. I would definitely recommend them to anyone who needs work done. Thanks so much for the fabulous service. Quick repairs and friendly/knowledgeable employees. They will answer any questions you have about the work that needs to be done to help you really understand what is going on with your vehicle. Friendly staff. They wouldn't do work on my car and told me that it was time to junk it instead of wasting my time and money. They didn't charge me since they couldn't fix it. They gave me advice on where to go from here. Happy with my experience there. I was extremely happy with my service here. Twice I have come in with what I thought was going to be a big dollar repair, but they honestly assessed the issues as small repairs. The honesty and professional service have insured that I will always bring my cars here. Great shop! The guys know cars inside and out. Always receive great service and friendly support. Great service, honest recommendations and reasonable price. Great service, friendly staff, and most importantly very fair prices. Would highly recommend. I've taken our cars to Automotive Experts for several years, each time feeling totally comfortable with high quality work and customer experience. Most recently, warranty work on a failed power steering was taken care of with no concerns. Thanks to John and the team. I have taken several of my cars to Automotive Experts over the years. They have always provided good service and communicate though out the repair. I have been to other repair shops and feel like they search for other things "that need to be addressed". I never know if they are just up selling me. I have not felt that pressure from Automotive Experts. Awesome shop and people. I brought my Mustang in for a shifting issue and they had it fixed in half a day. They are trustworthy and do great work, I’m back on the road because of them. Thank you, again! Great professional service and honesty! They were very transparent on what was needed and extremely knowledgeable in the communication of the issues. Very pleased with our experience! I was very pleased with timeliness and customer service. My sedan wouldn’t start, and within two days they identified the problem, ordered the part, fixed it, and explained everything to me clearly. I’d return in the future. Includes inspection of hoses & temperature. Parts & refrigerants extra. Includes cooling system flush and oil changes. Most vehicles, call for details.